Softball catcher and rising junior Jessica Plaza has been selected to participate with the U.S. Women’s National Team, the Amateur Softball Association of America and USA Softball announced this past weekend. Plaza, a Huntington Beach, California, native, earned the honor after a selection process that saw 24 collegiate and post-collegiate players tryout for the squad. In the end, Plaza joins 16 other players on the 2014 roster that will participate in a series of tournaments this summer. Plaza earned the nod after a strong stint with the U.S. Women’s Junior National Team in 2013; her play in exhibition games held in Virginia and Ohio on June 13, 17 and 19 also helped solidify her place on the squad. Finally, Plaza had to successfully navigate her catcher position drills in order to confirm her spot. Plaza is coming off of a solid 2014 campaign behind the plate for the Cardinal. 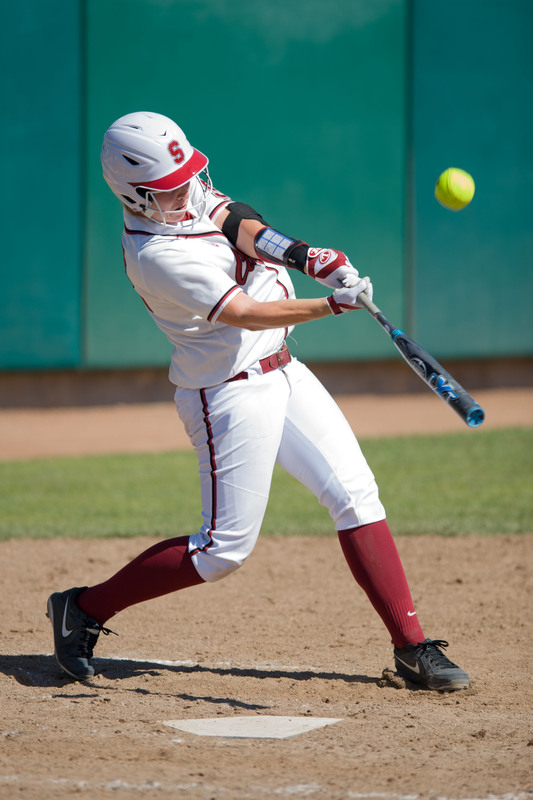 In fulfilling this demanding role for Stanford, Plaza hit .283, with 25 RBI and a .493 slugging percentage. She also tied rising senior Erin Ashby for the team-lead in home runs, with six homers in 44 games. Plaza was particularly clutch with runners in scoring position in 2014, posting a .359 mark in such situations. In the field, Plaza managed to throw out six batters in 20 stolen base attempts, for 77% stolen base success rate. Plaza also posted a perfect 100% fielding percentage, with 204 putouts and 18 assists. In recognition of her 2014 campaign, Plaza earned All Pac-12 Honorable Mention honors for the second consecutive year. The U.S. Women’s National Team will compete in three prestigious tournaments this summer. After a series of exhibition games in Morgantown, West Virginia, on July 2 and 3, the squad will travel to Irvine, California, to participate in the World Cup of Softball. This annual tournament will be held in southern California for the first time, as the previous eight World Cups were played at ASA Hall of Fame Stadium in Oklahoma City, a venue that is widely considered to be the most important softball stadium in the United States. Subsequently, the National Team will participate in the Canadian Open Fastpitch International Championship in Surrey, British Columbia, from July 15-21. Finally, the team will travel to Europe in August to conclude its summer schedule; after a series of games in Azzano, Italy, the U.S. Women’s National Team will play in the ISF Women’s World Championship in Haarlem, Netherlands. Softball’s most important competition since the Olympics dropped the sport after the 2008 Beijing games, the World Championship, will feature 16 national teams, including defending champion Japan.